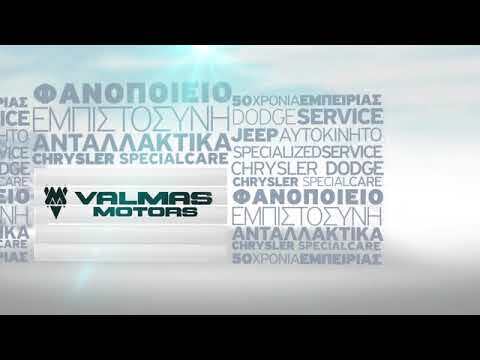 Valmas Motors Chrysler / Jeep / Dodge / Lancia / Fiat / Alfa Romeo / Porsche with a 50 years reputation for offering the finest levels of customer service. Every aspect of our business operates to the highest standards demanded by our valued customers. Inside Valmas Motors you will find an excellently designed space both in the workshop and in the customer waiting area. When the time comes to servicing your vehicle, you can be sure that we will make every effort to ensure your visit is convenient and hassle free. The makes we undertook are distinguished for their design and technological leadership. Maintaining in a perfect aesthetic and functional condition a car with this heritage is a requirement of its owner but also the main will of Valmas Motors. In Valmas Motors we are proud of the great care for our clients. In Valmas Μotors our first priority is you and your safety. Valmas Motors offers one year warranty for parts used and labor, for every car repaired.